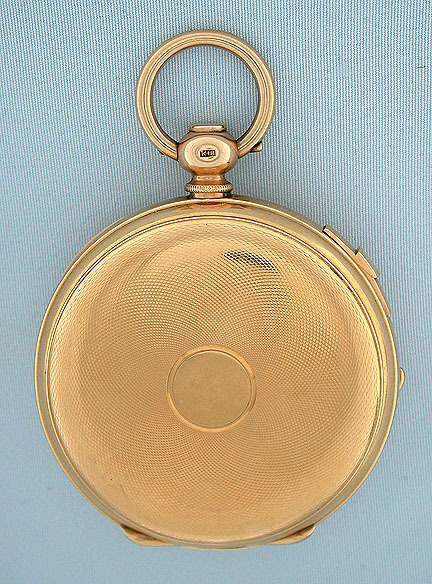 Fine and very rare Swiss 18K gold cover wind antique pocket watch circa 1860. 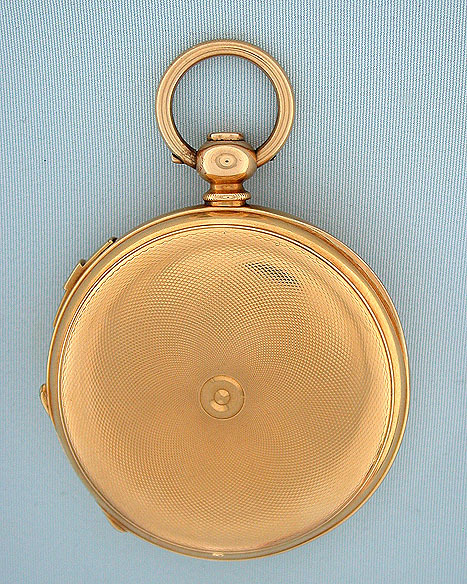 Substantial 18K gold engine turned hunting case with slide in the band to release the setting crown. 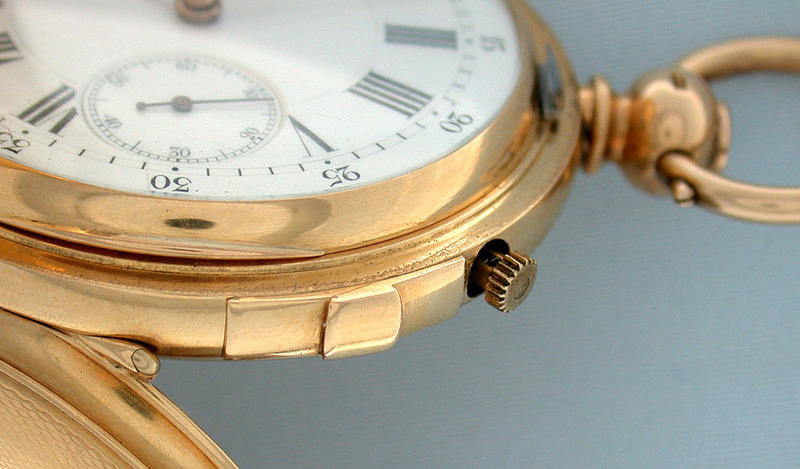 White enamel with gold and blued steel hands. 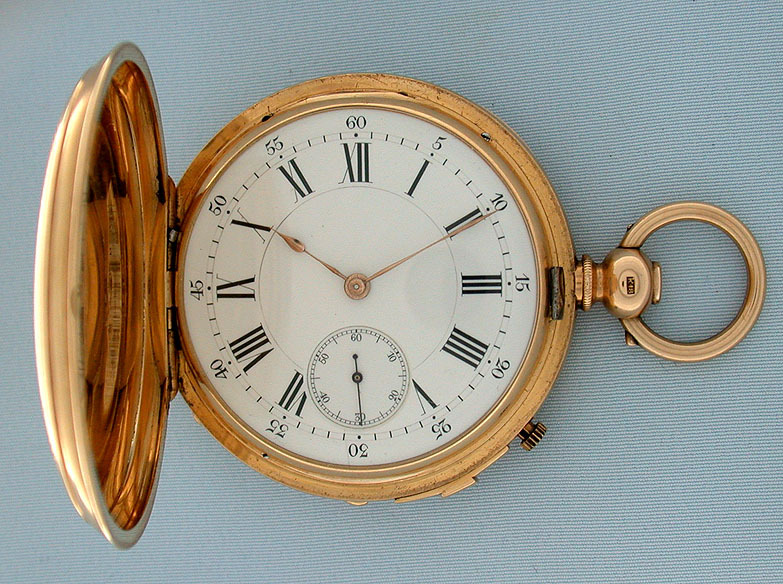 Fine 15 jewel nickel damascened movement with counterpoised lever. In particularly fine condition throughout. 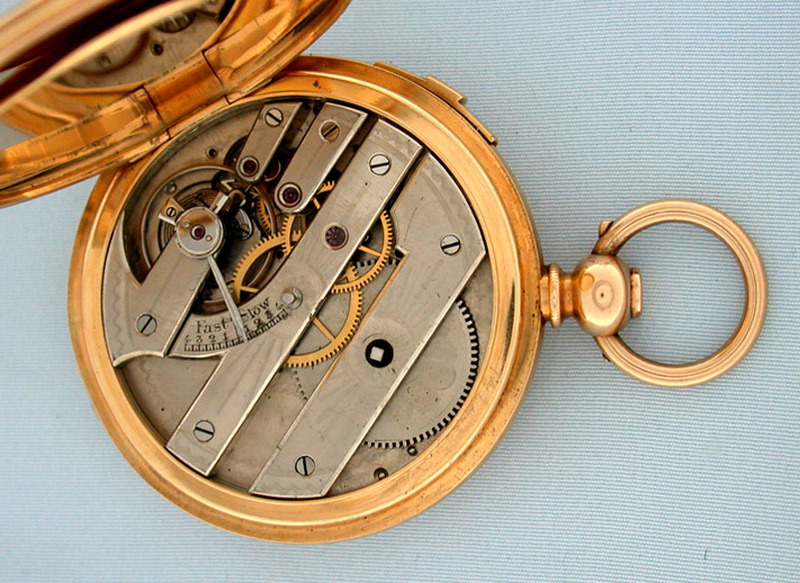 Opening and closing the cover of this ingenious watch winds the mainspring.